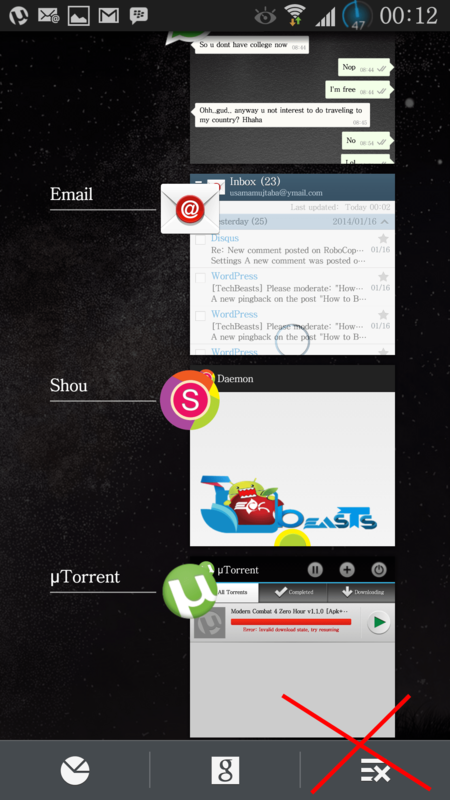 The fastest growing operating system Android comes with a lot of features that you can enjoy. As off now, there is a huge number of devices running on Android. Almost all the smartphone manufacturers are turning towards Android one by one and almost everyone owns a device running on Android today whether it’s Android Cupcake or on Android KitKat. You may wonder sometimes about your Android device’s battery discharging and sometimes it may disappoint a lot of users. The process running on Android surely eat a lot of battery and it becomes a hitch sometimes. However, you can still enhance the battery life and performance of your Android device but making some changes here and there. 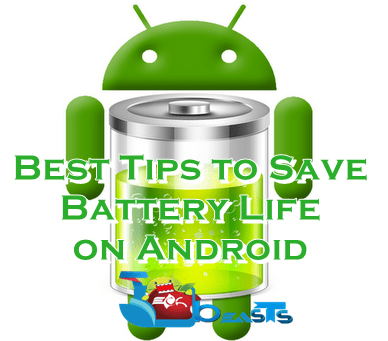 While you are unable to do so, we’ve compiled up a number of solutions that will take you to a better battery life of your Android device. Keep patience for a while and move forward with us in this comprehensive guide. 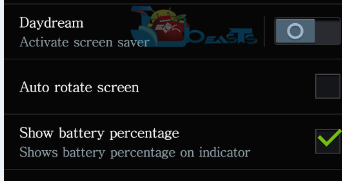 First of all you need to check in Settings > Battery about what’s eating the battery at most. 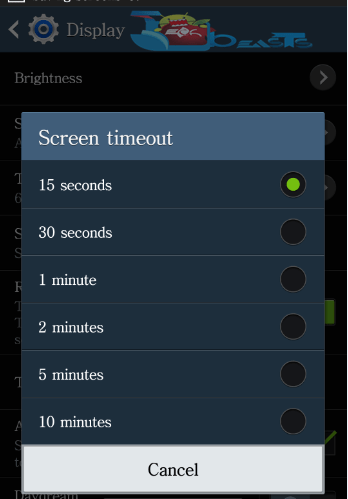 You’ll probably find “Screen” at top, so we’ll begin optimizing the Display settings for your Android device. Always use as low brightness as you can. This is highly recommended as high brightness produces more light out of your phone’s screen and stresses the battery and results in battery drain. 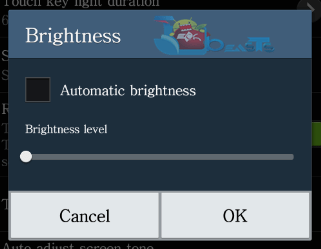 Now in Brightness > Untick -Automatic Brightness / Auto Adjust and set the lowest brightness. Always use minimum screen time-out. Sometimes when you’re done using your Android device, the screen remains on for a duration of 30 seconds or more. You can set this time-out to the minimum available time and unstress your device’s battery. Solution: To adjust the Screen Time-Out goto Settings > Display > Screen Time-out > Set it to to the lowest available option. Auto-rotate uses the G-Sensor of your Android device to determine in what direction you’re holding your Android smartphone and helps you to view your screen in that direction. Use of G-Sensor is also linked with the battery life of your device, so always turn off Aut-rotate screen and turn it only when you need it. Solution: To turn off Auto Rotate goto Settings > Display > Untick Auto Rotate. Always use a static wallpaper. That means you got to avoid Live wallpapers on your Android smartphone. 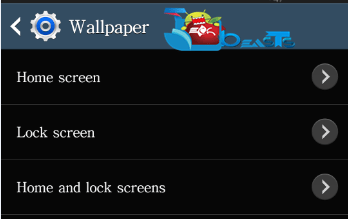 Live wallpapers include screen animations, graphics are high. These animations and graphics probably use CPU and GPU of your device as well and the processing results in more battery usage. 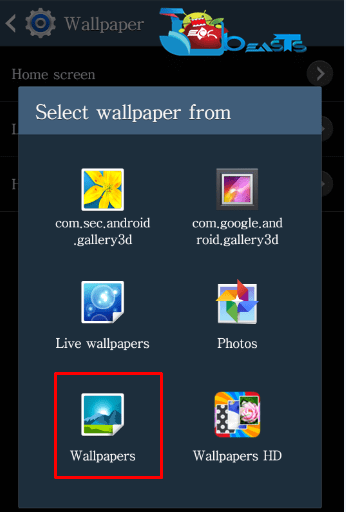 Solution: To set a static wallpaper, goto Setting > Display > Wallpaper > Pick a Static wallpaper and ignore Live wallpapers. 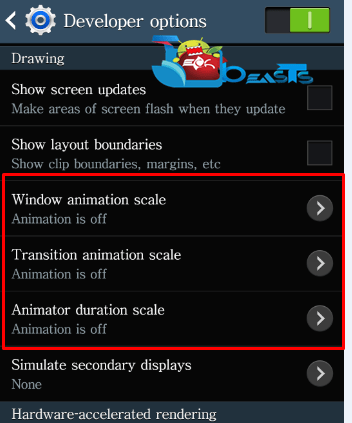 Disabling Framework Animations is another way to increase the battery life and also improve the speed of your Android device. These animations work when you open an app, switch between apps or you go back to the home page or press the home key to come back to your device’s home. These animations definitely eat battery while processing. Set all these three to “Animation Off”. In case your device is running on Android 4.2.2 and you can’t find Developer Options in Settings then goto Settings > About Device > Tap build number for 7 times and you will get Developer Options activated in Settings. You can proceed once activated. Try to ignore the use of Widgets on your phone’s screen. Widgets keep updating em’ regularly, whether you’re using a Weather update widget, or a Social Feeds widget or any other. These widgets can use the CPU at any time and start a process on your phone that directly affects the battery life of your device. Always use light/brighter themes on the devices having LCD displays. This is effective when you want to keep your phone’s brightness as low as possible and you still want to keep everything visible, a brighter theme maybe a lot helpful while keeping the device’s brightness at the lowest level. Using lighter themes on AMOLED and Super AMOLED screens consumes more power and results in more battery usage. Using dark themes / dark graphics on AMOLED or Super AMOLED powered devices will effect the battery. Basically using dark themes on these screens uses less pixels and doesn’t put much burden on the system, so keeping everything as dark as possible will be a life savior for your phone’s battery. 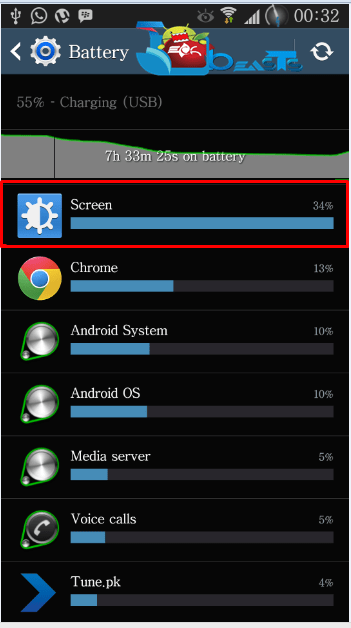 Auto-Sync consumes your smartphone’s battery to the worst extent. Basically this feature keeps on checking all your synced accounts with your cloud storage or with your gmail / email and other such services and displays / updates the missing data. Disabling Auto-Sync may save your battery a life. 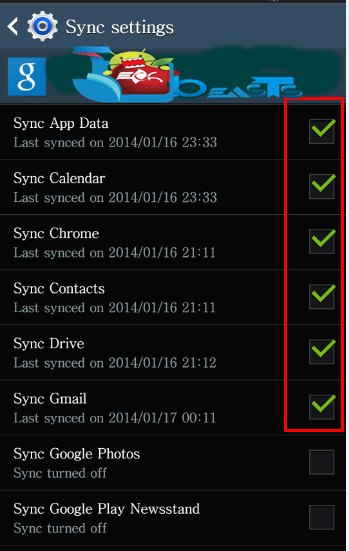 Solution: To disable Auto-Sync goto Settings > Accounts > Google > Untick All ticked Sync options. Similarly unsync the options for other accounts that are not in use. Keeping NFC and Bluetooth and other such wireless connectivity options is a lot helpful as well. NFC uses your phone’s screen and results in consuming the battery, similarly Bluetooth stresses the system as well and eats a lot of battery. 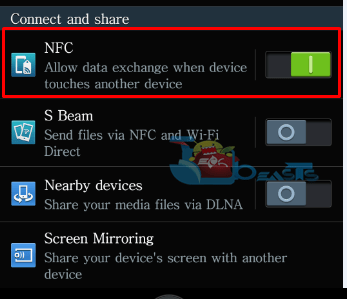 Solution: Goto Settings > Connect & Share or Connectivity > Disable Bluetooth & NFC. It is always wiser to enable these options only for a while when you actually need em’. Believe me or not, Mobile Data eats more battery then the WiFi. You may use Mobile data only when it’s needed otherwise it will definitely result in battery drain. 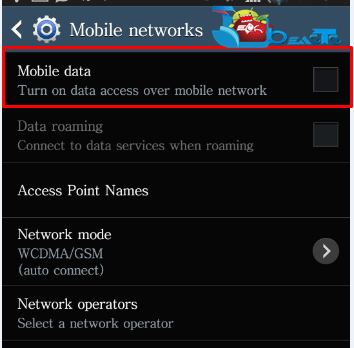 Solution: To disable Mobile Data, goto Settings > Network Connections > Mobile Networks > Disable Mobile Data. Always turn on Airplane mode when it’s possible and when you don’t need your Network. 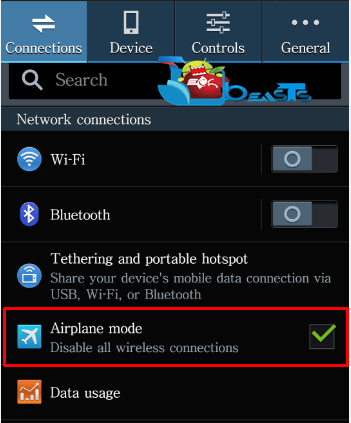 Enabling Airplane mode stop the Modem / Radio of the phone from working and gives rest to your smartphone and results in more battery life. Solution: To turn on Airplane Mode goto Settings > Airplane Mode > Check it. Sounds weird, but that’s right. 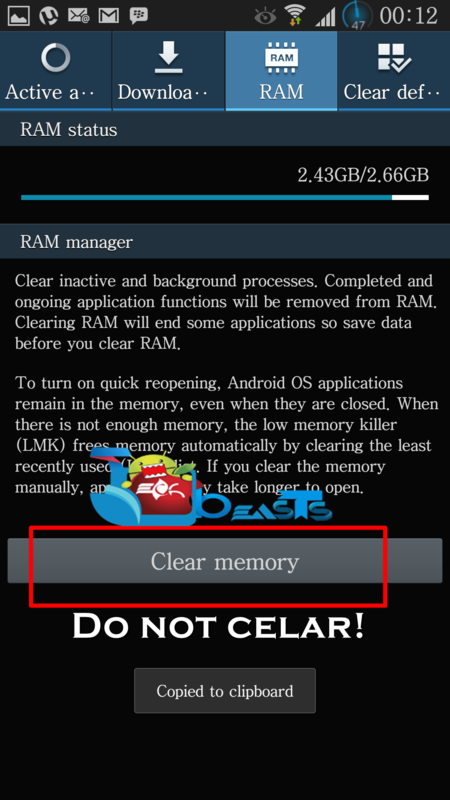 Most of the Android smartphones do not know about this fact and they keep on opening the task manager on their Android device and clear it’s RAM again and again. This is basically known among the users as clearing the device’s RAM always wipes the applications running at background and leaves a positive effect on the device’s battery, while this assumption is totally wrong. Android device’s RAM uses the same amount of battery whether it’s full or empty, so clearing it again and again won’t help your device’s batter at all. Basically what happens is, when you close an application or clear your device’s RAM and open that application again, the app opens up from scratches, starts it’s necessary process and uses the CPU. Use of CPU = Use of Battery, so if you leave it opened and use Home Button to turn back to your phone’s home screen or come out of that application, then accessing it from recent applications will be surely helpful as it won’t load from scratch and won’t start all process once again. Charge your Android device properly and carefully always. Do not wait for the battery to drain to 0%. Always plug the charger in as soon as your device falls to 50%. This will help the battery life cycles, and help the battery to remain efficient. Always use the correct charger to charge your Android device. Do not use a charger with invalid voltages, or invalid power to charge your device. You may use a slow charger for this purpose when you’ve time, specially when you’re sleeping. Using a slow charger keeps the battery calm. While use of fast charger is only efficient when you’re in a hurry. It is always preferred to use the Stock Charger of your Android device. ART stands for Android Runtime that is replacement for Dalvik Runtime in Android 4.4 KitKat. Quite similar to Dalvik, it basically helps the phone to handle apps. Use of ART pre-compiles the apps, so that whenever you open an app you don’t disturb the CPU of your phone that much. As mentioned, less use of CPU always results in less use of Battery. Solution: To use ART goto Settings > Developer Options > Select Runtime > Use ART > Reboot. Thanks to XDA Recognized Contributor Riro Zizo for his great work. That’s All! We hope that you found this guide helpful. In case you got any queries or confused about something, feel free to stop by the comment box below and drop us your query. We will try our best to help you out. Thanks All.